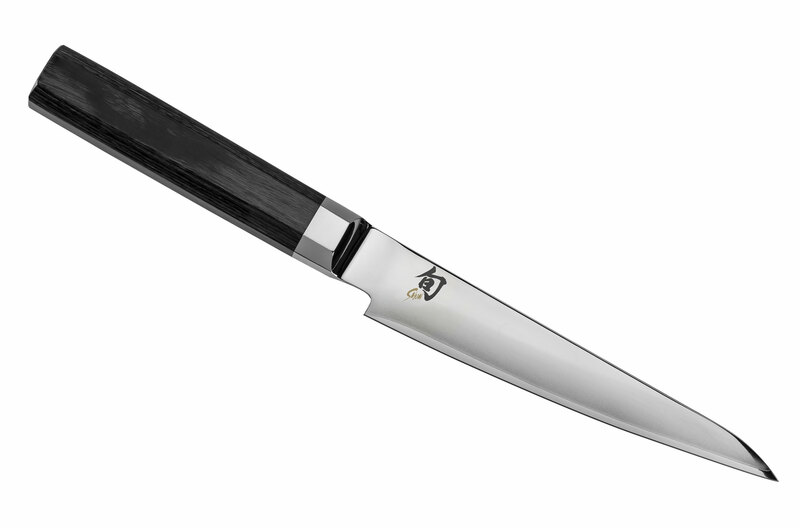 The Shun Blue Steel Knife collection was developed in partnership with award-winning Chef Chris Cosentino, internationally renouned for his "nose-to-tail" cooking philosophy. 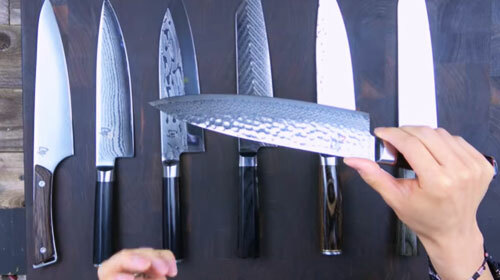 Chef Cosentino chose traditional Japanese blade shapes essential for preparing proteins, for which he is known for. 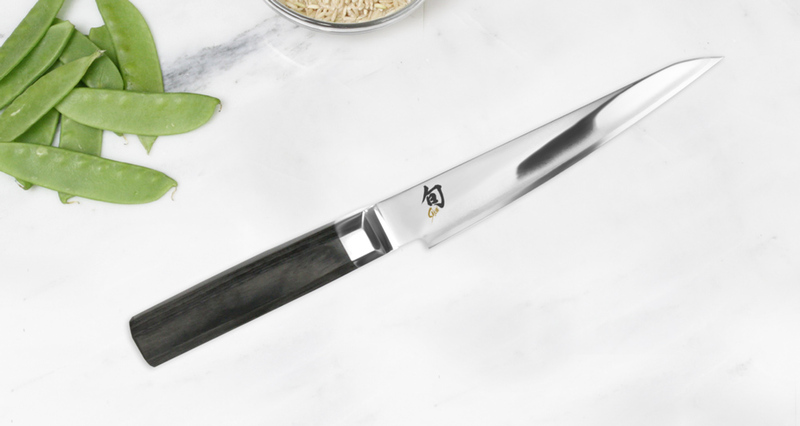 The Shun Blue Steel collection features a blue carbon steel core sandwiched between two layers of mirror polished stainless steel. 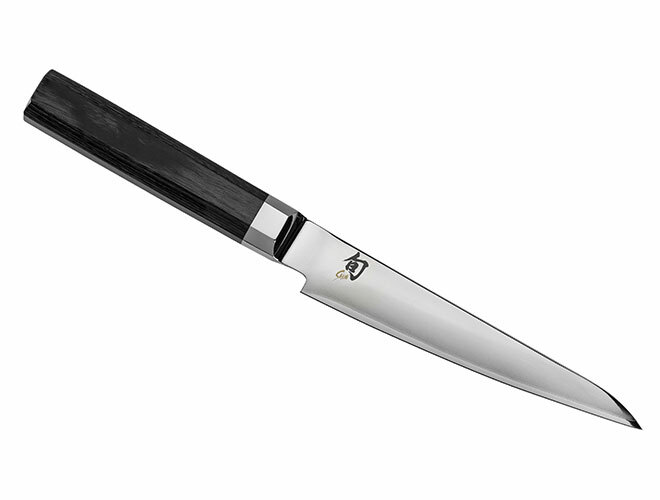 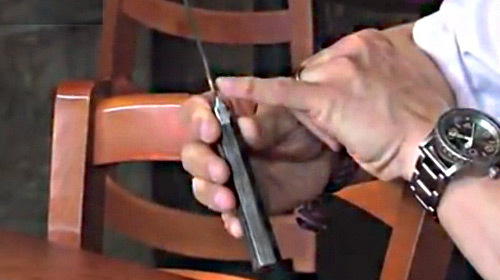 This unique combination delivers a razor-sharp cutting edge without the additional maintenance of a carbon knife. 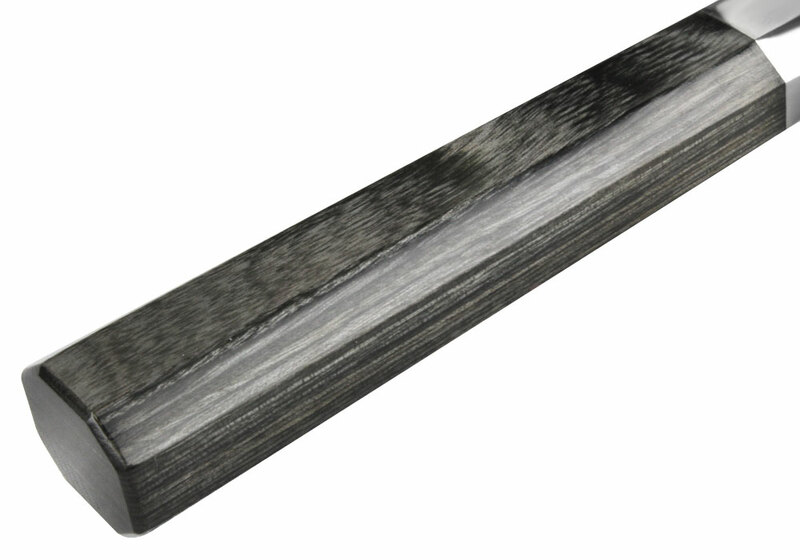 The blade is hand-sharpened and enhanced with a beautiful grey PakkaWood handle. 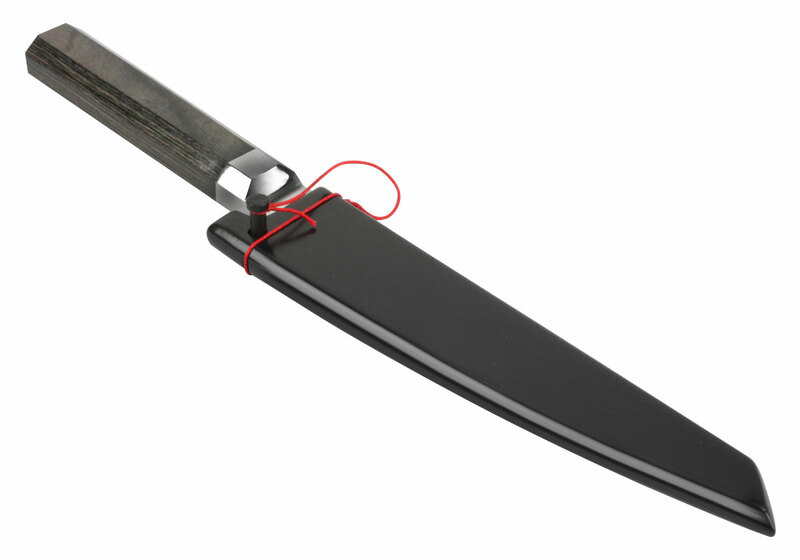 This newly designed handle is a variation of the traditional styled Japanese handle. 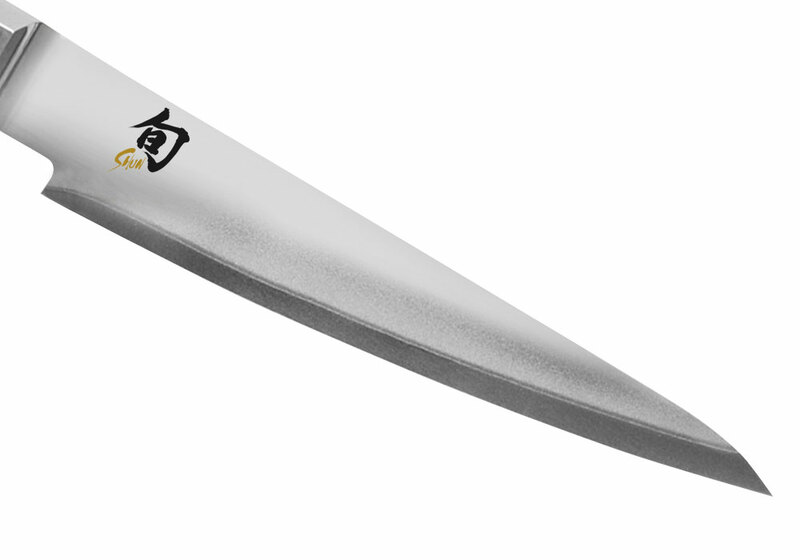 Shun Blue Steel is an exciting new collection of traditional Japanese culinary knives available not only for the professionals but for avid home cooks. 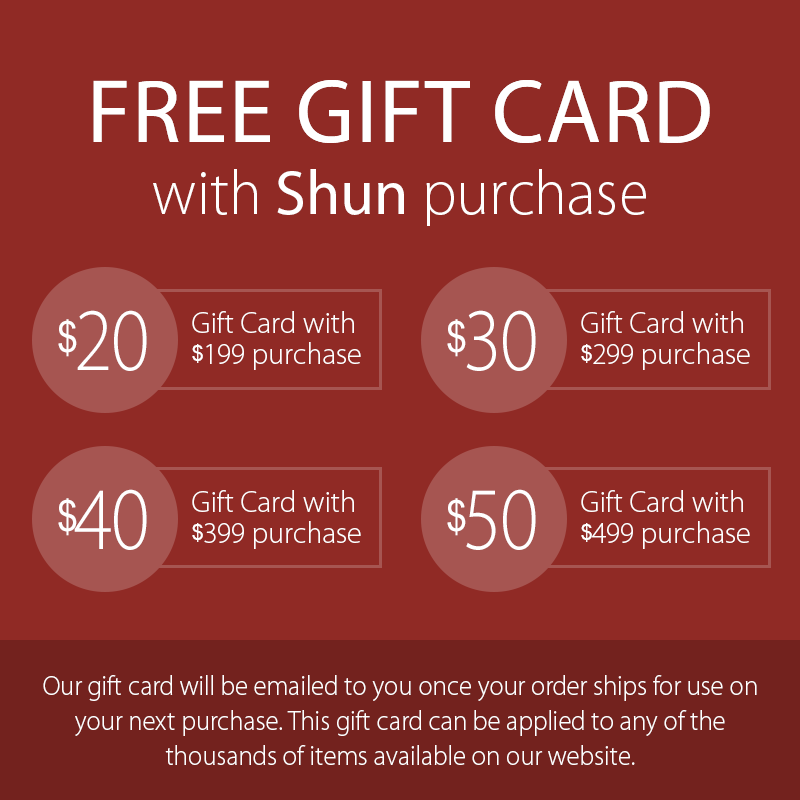 Made in Japan with a limited lifetime warranty.